RPGWatch Forums » General Forums » Off-Topic » The Witcher Netflix series begins production. The Witcher Netflix series begins production. Better than I expected, tbh. Can't turn out worse than last Predator movie. Bah! It can. They can always add Nicholas Cage to the mix. Now when I think about it, maybe it wouldn't be bad at all. I mean it would be bad, but could be so bad it's good case. Not the bees, not the beeeeees! Aaaarrgh!! 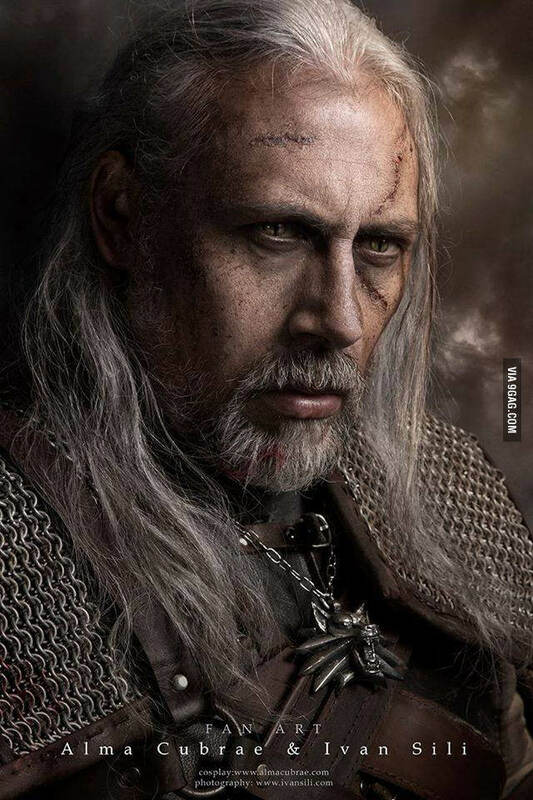 You mean Nicolas Cage as geralt? you have a dark twisted mind joxer. 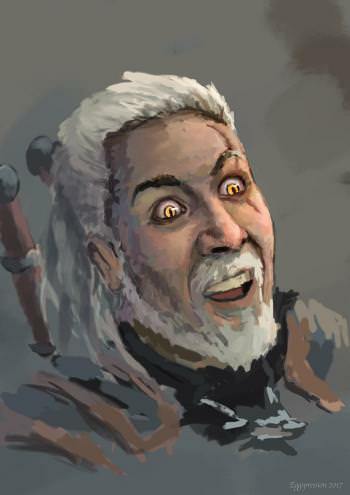 Well someone already did a Photoshop of his face on Geralt's. They even started a change petition. Found a hilarious Troll article about Nick also. I just watched the Cage movie where he starred with the Hellboy actor and they were witch hunters. What a fun B movie and if you weren't expecting it to be good you could just sit back and enjoy it. The original Wicker Man is one of the best movies ever and what Cage did to it should banish him to the 9 hells. "From knowledge springs Power, just as weakness stems from Ignorance." It was Season of the Witch right? If so it was a decent watch. He also did another medieval movie called Outcast in 2014, but it was not as good as the other movie. Yeah Season of the Witch. I enjoyed it but I was in the mood for that kind of movie and it didn't disappoint. Did you ever watch Solomon Kane? For a bit of demon-hunting B-movie hijinks, I thought it was pretty good. The reviewer is Peter Bradshaw and he is highly respected here in UK. Fun movie, unjustly ignored, not unlike James Purefoy career. How nice for you to meet me. Watched it multiple times and loved it. Too bad it's underrated. Update: Read the Solomon Kane novel's if you like the movie also. It does devolve into a bit of a CGI cheesefeast, but it has some really good elements to it. It was way better than the last Conan reboot (the stupid one with Khal Drogo). It was the same with Jonah Hex but that movie failed. Wasn't good but lets say average. I was very exited about that new Conan movie, but it's dull and boring. They planned to make a trilogy but it was cancelled. Oh well back to reading the new novels instead. Last edited by Couchpotato; October 12th, 2018 at 16:22. Ech, Momoa wasn't bad..the story/script was. Actually was closer to Howard's Conan than Arnie's version. Momoa couldn't hold Arnie's jock strap.